Hair extensions. A part of my hair wardrobe since 2004. (Yes, I have a hair wardrobe) That's 10 years of trying every hair extension going. From the eye-wateringly expensive Great Lengths that had to be touched up every 3 weeks, to a head of synthetic shiny clip-ins bought from China that were reminiscent of barbie hair, to a dabble with an oh-so-slightly-drag-queen-esque 3 quarter wig, I've literally tried/danced/cried/shopped and even swam in them all. So once upon a time I liked to think of myself as somewhat of a hair extension guru. Nowadays, thanks to regular trims and replenishing hair masks (and probably by not wearing glue in extensions - ironically) my hair is longer than it's ever been, so I havent actually worn a set of extensions for over a year - a first for a hair addict like me. I recently started looking for something that would add thickness, as I have super fine baby like hair and I sometimes I crave a full Victoria Secret style mane! HairTrade offered to send me some hair of my choosing, and so I jumped at the chance to rekindle my mermaid hair fantasy. 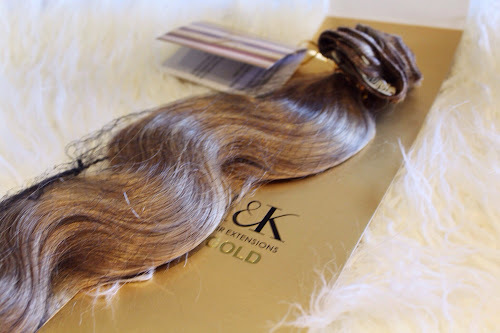 Hair trade are actually a company that I have used loads in the past and I already knew that what ever they sent to me would be of excellent quality. 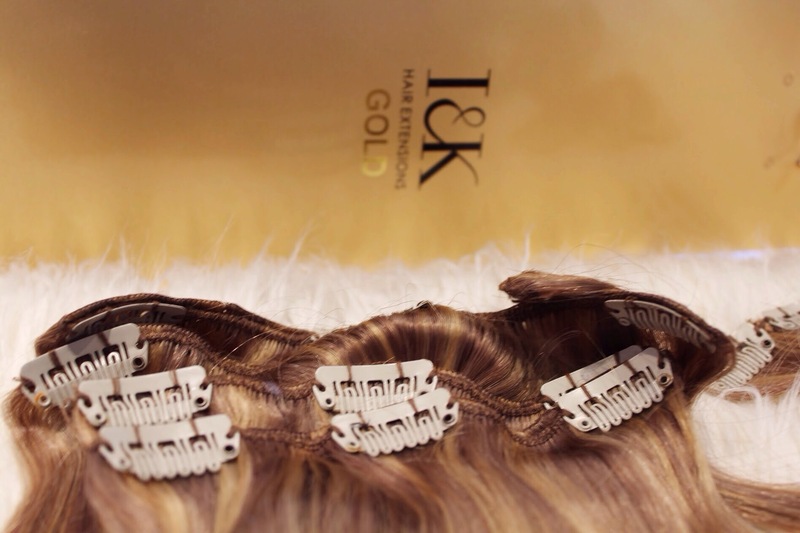 I chose I&K Gold extensions in a body wave finish. 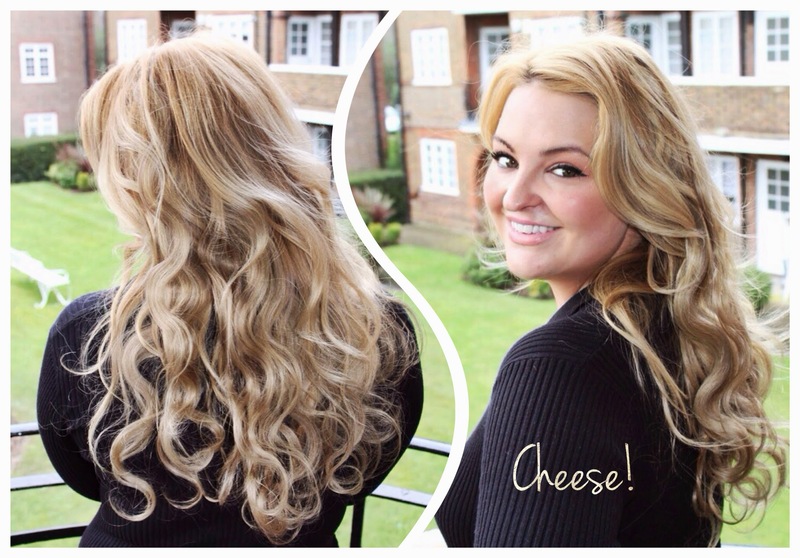 Body wave hair is set with a subtle wave rather than being totally straight, and I find this both blends with my natural hair better, and helps to achieve that bouncy blowdry look. The extensions are 100% human hair and that means that if I get tired of the waviness, I can straighten the hair to my hearts content. Win win. I chose shade number P18/22 which on first glance seemed a little dark for me. But once applied it actually blended perfectly well, and gave an extra dimension to my bleached natural hair. The pack contained a full head (10 peices) and for the purpose of this blog post I whacked it all in. But In reality, I will only use a few rows as that's all I need to thicken up my abysmally fine hair! 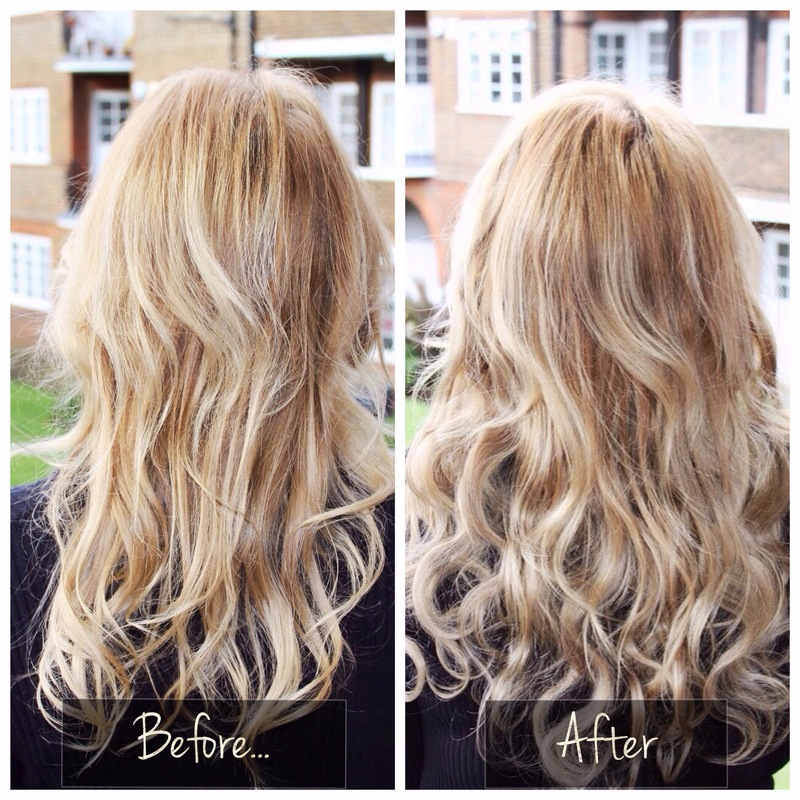 Il probably also trim the extensions a little and add some layers, concentrating on thickness rather than length. With I&K extensions you get an extra 2 inches to allow cutting into shape, something that impressed me. Meaning that if you buy 18 inch like I did, you'll actually get 20inches to allow for shaping! 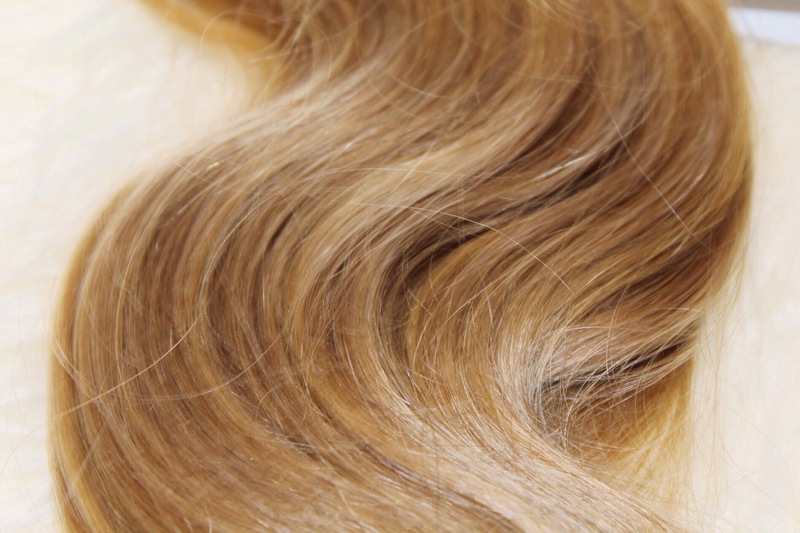 You can see from the before and after pictures below that the effect is thicker, fuller looking hair that blends surprisingly well. Even though my hair is super fine, I didn't feel paranoid about other people being able to detect or see the clips as I felt they gripped my hair well, and even on a particularly windy day my hair stayed in place with no dreaded 'clip flash' - phew! I'm totally in love with my new mermaid hair. Fancy being hair twins with me? If you do, I've managed to wangle a 15 percent Hair Trade discount for all readers of MimiFlys. Just visit Hair Trade Here, enter the code "IK32M' at checkout, and enjoy swishing your hair even more than usual. Be warned. It's addictive. 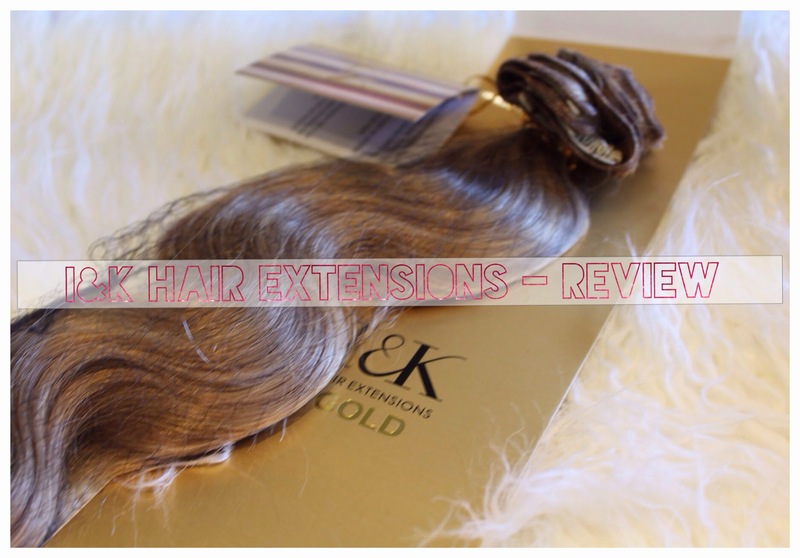 I hope you enjoyed this review :) Have you dabbled in the world of extensions? 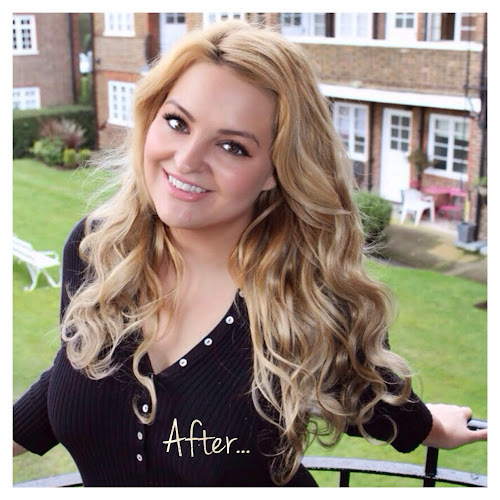 I never tried extensions, but with all the post-pregnancy hair loss it is something I seriously consider. You look gorgeous, and I wasn't able to tell you had extensions in. Oh thank you :) was a very windy day so took forever to get a photo without a strand if hair attacking my face!! You should try some out for thickness, they are so fun! I never used to leave the house without extensions but since changing my hair colour this year, I've really struggled to get a good match so I gave up!! This looks gorgeous! I have never used hairextensions, but these look worth a try.